In 2003, Annia Ciezodlo married a Lebanese Muslim man, and for the next six years divided her time between Baghdad and Beirut, her husband’s home town. As journalists, over these years they spent their work lives witnessing and recording the descent into violence and sectarian conflict in both Iraq and Lebanon. 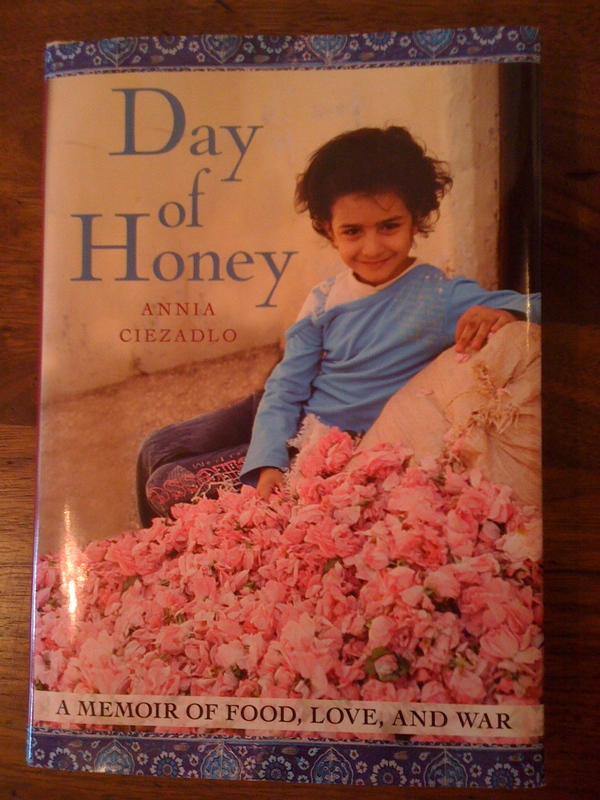 But as she says, “if you want to understand war, you have to understand everyday life first.” In Day of Honey, Ciezodlo tells us the parallel story of finding the heart of her new everyday life in its language, friends and family, and food. Her experience of the sectarian passions that fed that firefight was personal in the worst way. Her husband’s last name identified him as Shiite, and one night they were forced to walk home, threading their way through the dark streets to avoid armed gangs of warring Sunni and Shiite men. An encounter with the wrong group could have been the last for her husband. Shortly afterwards, for many reasons, they returned to New York. Back in New York adjusting to another everyday life, she concludes that “there was no point to staying in Baghdad or even Beirut. No point to being there simply because our friends could not or would not leave. . . But there is something to be said for memory, and for raising what small flag you can, even a tattered one, against forgetting.” When she misses Beirut or Baghdad, she heads to a farmers’ market to buy food and make something good to share with people she loves. Note: The book ends with a chapter of recipes for the traditional dishes and family favorites that appear and re-appear throughout her story. I’m going to make some of them soon.